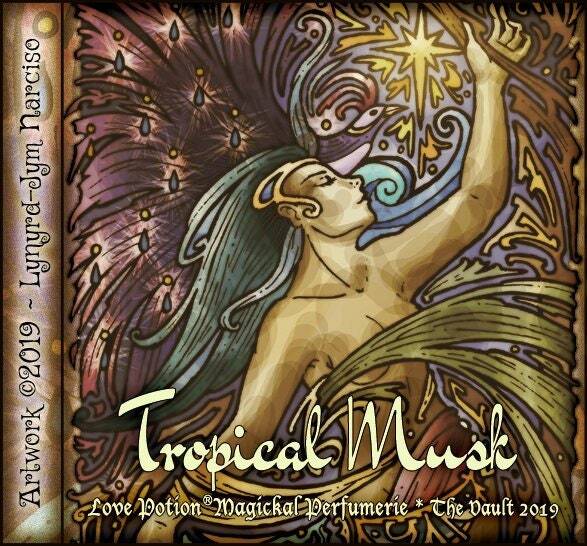 Our classic evocation of a tropical mood, now recreated for the fourth time! This ever-popular fragrance is a vacation destination in a bottle...lush coconut and coconut cream accords mingle with the sultry aura of a blend of Egyptian, white and green musks, topped with a cool breeze of bamboo, enhanced with tropical vanilla and the summery sparkle of pineapple. Scent: Just like the title! BAMBOO ~ Protection, hex breaking, luck and wishes, fertility, wisdom, feminine energy. PINEAPPLE ~ Draws money and luck; chastity, protection.